Growth form: Annual herb. Flowering. Feb–Apr. Status: Native. Local. Also recorded: Bahrain, Kuwait, E Saudi Arabia, UAE. Habitat & distribution: Occasional in C and W Qatar. 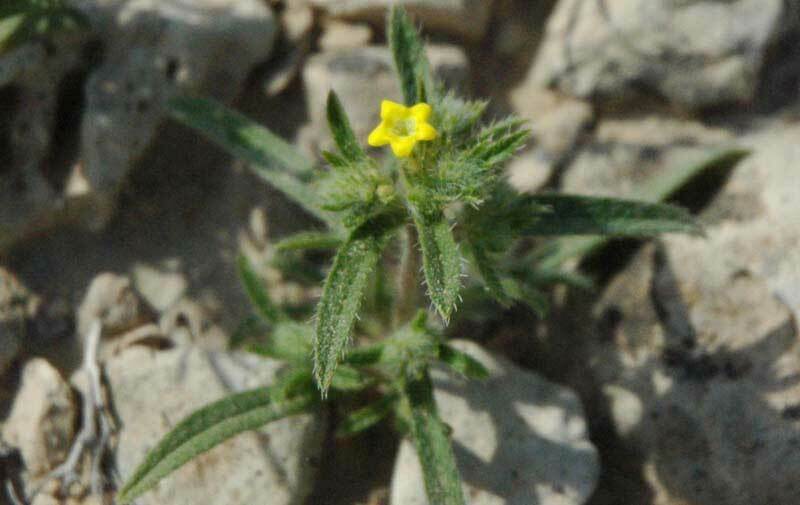 Previously recorded from Salwa and Jebel Dukhan, on saline, Sandy areas. Uses: The deep red root is used by bedouin women as a cosmetic (rouge).